The album that keeps on giving... EVERYTHING else is plain in comparison... Do yourself a favour, give this a lick. 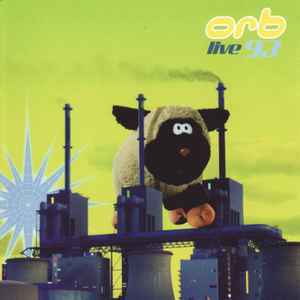 From beginning to end this is the most satisfying release by the Orb. Odd considering it's a series of live recordings. But then again the Orb were probably in their time a much more potent band to see live than to be holed up with a bong at home. Similar to the Dead or Pink Floyd who are again heavily borrowed from in cover material and theme. The songs contained are still recognisable for what they are. But they are certainly stretched to an inch of their lives in set and again probably in post production. Most of the material released here had at one point or another seen the light of day in various non-official and suspect in quality bootleg recordings which were circulating around the time of this epic live release. A goodly portion found home in the Tripping on Sunshine boot that came out immediately following this. Agreed, the intro to "Little Fluffy Clouds" has to be one of the best I've ever heard. Ignoring the actual subject matter (Listen and find out), it's VERY quiet. This makes you turn it up. A minute or two in, a deep bass-drum style "Heartbeat" comes on, better hope you have a good system when it kicks in. An amazing track. it´s the most mindblowing orb release. the others are maybe more clever and continuos but the element of chaos and imrovisation makes it more soulfull.